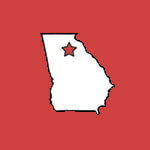 The Tentative Metro Atlanta Regional Tournament Competition Schedule is now available located in the tournaments section. Teams with conflicts should have included this information during registration. If there is a scheduling issue, please contact us. The conflicts must be reported ASAP so the scheduler has an opportunity to adjust accordingly. No changes will be made to the schedule after the Final Schedule has been released on February 16th. The forms section of our website includes all of the forms a team will need for a regional tournament this year! With tournaments rapidly approaching, now is the time to start preparing and getting ready. We even have a whole section located in the Coaches Corner of helpful files for tournament day preparation! **You must login to the coaches corner using the coaches login to view this information. Our goal is to release a preliminary schedule 3 weeks before competition. At this time teams should review the schedule, but remember that changes to the schedule may occur during the first week. A Final schedule date has also been provided so that teams will know when changes to the schedule will no longer be made. Teams with conflicts should have included this information during registration. 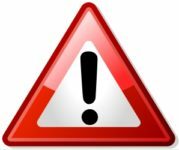 If there is a scheduling issue, please contact The Scheduling Coordinator by clicking here. The conflicts must be reported ASAP so the scheduler has an opportunity to adjust accordingly. No changes will be made to the schedule after the Final Schedule has been released. 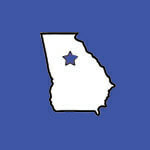 The North Georgia Regional Tournament Competition Schedule is now available located in the tournaments section. We will be updating the General Information for all tournaments in the next few days. Teams with conflicts should have included this information during registration. If there is a scheduling issue, please contact us. The conflicts must be reported ASAP so the scheduler has an opportunity to adjust accordingly. No changes will be made to the schedule after the Final Schedule has been released. 2. State Finals: Each ad purchased for state finals will be included the state finals program. Ads must be purchased by March 16, 2019. Ads will be purchased and uploaded through the website using the link below. You can upload a fully designed ad or our talented designer can assist you in creating one.